This guide was made with collaboration of the author with North Dakota State University Extension and the North Dakota Department of Agriculture, with funding from the U.S. Forest Service. This publication is designed to help land managers identify the state- or county-listed noxious weeds. Other species included are those with the most potential to spread within the state or into North Dakota from bordering states. Control recommendations are current at publication, but options change rapidly. Before beginning any management program please consult with your local county Extension agent and/or weed officer for the latest chemical, cultural and biological control recommendations. The plant species identified in this guide are considered noxious and/or pose a threat to North Dakota and the Midwest. North Dakota law requires state-listed noxious weeds to be controlled. Other weeds have been designated as noxious weeds in one or more counties throughout the state. These weeds are required to be controlled within their listed counties. 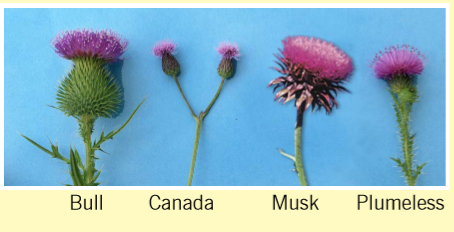 For ease of identification, state- and county-listed noxious weeds have been designated with icons throughout the guide. Chemical control recommendations are updated annually in the “North Dakota Weed Control Guide,” Extension publication W253, available from county offices. For the latest in biological control options, contact the North Dakota Department of Agriculture and/or the local staff of the U.S. Department of Agriculture – Animal and Plant Health Inspection Service in Bismarck. 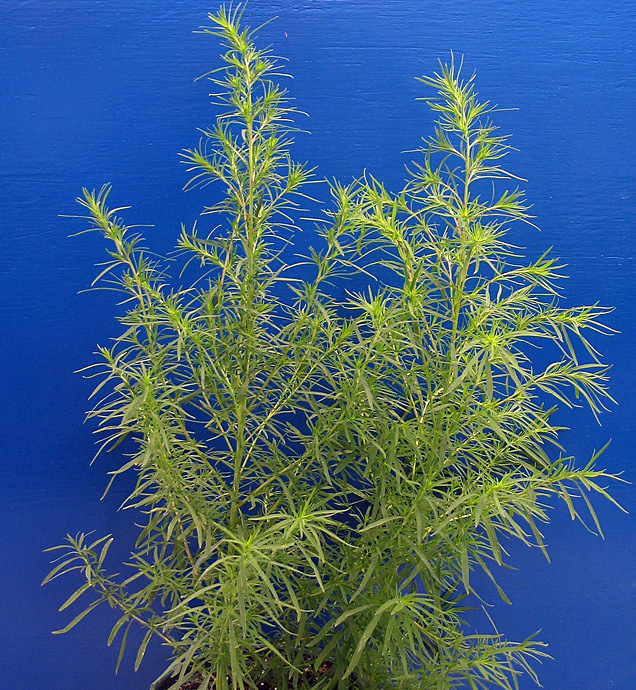 Absinth wormwood is a perennial plant that is easily recognized by the strong sage fragrance. 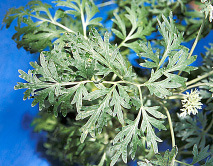 Absinth wormwood emerges in early spring and grows to a height of 3 to 5 feet. The leaves are light green and divided two or three times into deeply lobed leaflets. Flower stalks grow from upper leaf nodes and produce many small yellow flower heads from late July to mid-August. Each fruit contains one seed, which is scattered easily by wind, animals and in hay. Absinth wormwood is a member of the sagebrush family, but dies back in the fall and regrows from the soil surface each spring. The plant is found on dry soils, overgrazed pastures, gravelly areas and roadsides. 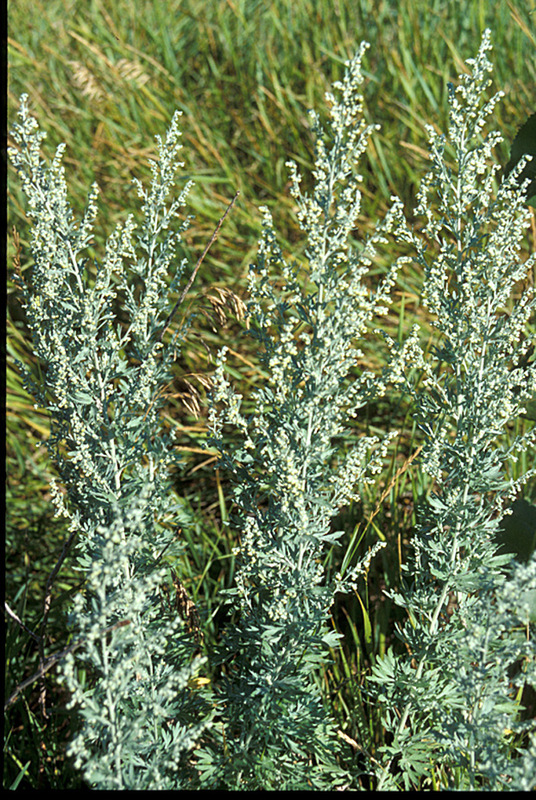 Absinth wormwood reduces forage production, gives milk of cattle that graze it a sage taste, and produces a fine pollen that causes allergies and can induce asthma. The oil from flowers is used to prepare vermouth and absinthe and is an ingredient in liniments. Baby’s breath is a perennial plant that regrows from a large taproot. The plant can grow to 3 feet tall, is very branched, and is easily identified by the numerous small white flowers. The leaves are opposite, narrow and pubescent. 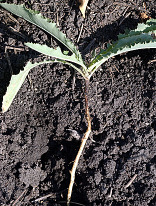 The plant will grow in a variety of conditions and the taproot can exceed 10 feet deep. The tiny black seeds are spread in the fall when branches break off and are blown by the wind tumbleweed fashion. Each plant can produce more than 10,000 seeds. 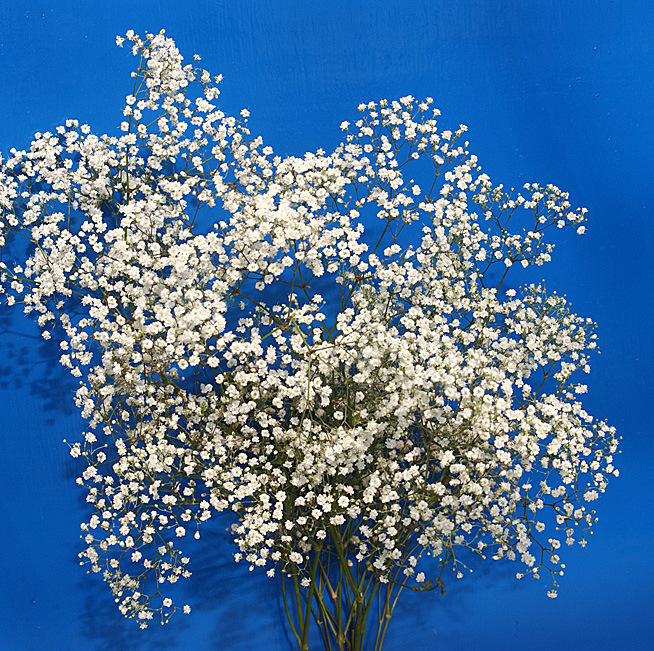 Baby’s breath commonly is used as a filler in bouquets and is spread easily by seed when the flowers are discarded. The plant will form a dense stand and displace desirable grasses and forbs. 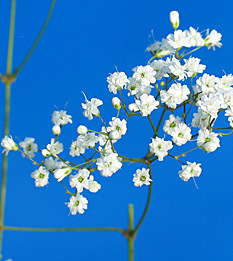 Baby’s breath was introduced from Eurasia and is a member of the Carnation or Pinks family. This plant is a designated noxious weed in neighboring Montana and other western states. Black henbane is a member of the nightshade family and is a non-native annual weed in North Dakota. Black henbane grows up to 5 feet tall. The plant has coarse, pubescent and often sticky leaves and branches. The leaves are large (6 by 8 inches), alternate, coarsely toothed, lobed and grayish green. Flowers are funnel-shaped, five-lobed, brownish yellow with dark purple veins. The seeds are contained in pineapple-shaped capsules and are gray brown to black. Black henbane can produce thousands of seeds per plant. Seeds germinate and produce a rosette with a large whitish branched taproot the first growing season. The plant bolts and flowers from June until the first frost the second season. The plant has an unpleasant odor throughout its life-cycle. Black henbane contains alkaloids that can poison animals but is unpalatable and rarely eaten. All parts of the plant are toxic to humans. Even just smelling the flowers can cause headaches and nausea. 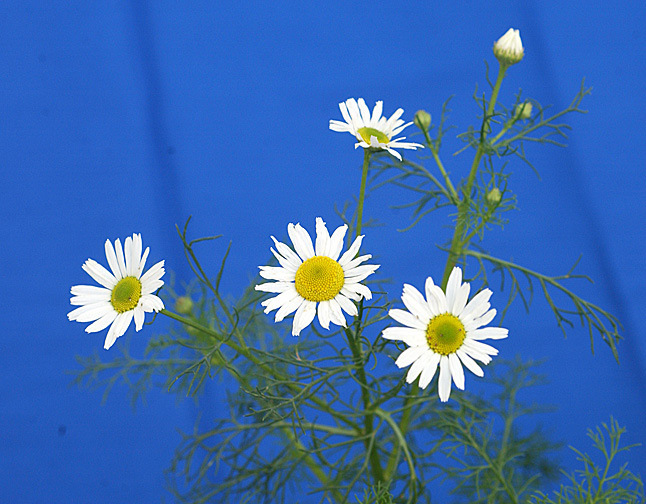 False chamomile resembles the common daisy. The plant is an annual with white flowers and blooms from May through August. 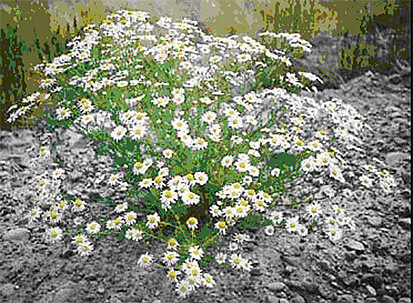 False chamomile will grow from 6 to 18 inches tall and has very finely divided leaves from 0.75 to 2.5 inches long. The dark brown seeds are 2 millimeters long, with three ribs on one side and a broad brown central area on the other. False chamomile has a pleasant aroma, which distinguishes this species from the close relative scentless chamomile. Spring- and fall-emerging plants can reduce wheat yield but are easily controlled with sulfonylurea herbicides. False chamomile has been used for medicinal purposes for hundreds of years. The plant is used to make chamomile tea which is reported to have relaxation benefits. Pollen from this plant will cause allergic reactions similar to ragweed. 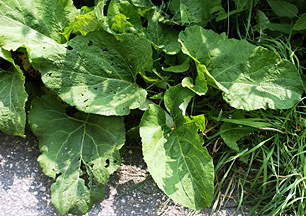 Common burdock is a taprooted biennial that only reproduces by seed. The first year plant forms large heart-shaped leaves which look similar to rhubarb. The plant bolts in the second season and can grow 3 to more than 6 feet tall. 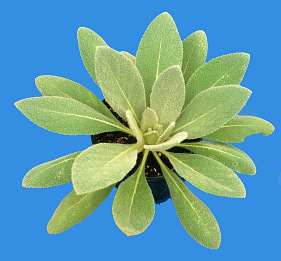 The leaves are dark green above and whitish green and wooly-hairy below with toothed margins. Flowers are pink, purple or white and about 0.75 inch across. Flower heads are enclosed in a prickly bur that has numerous wooly bracts, tipped with hooked spines. 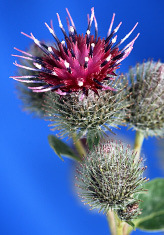 Common burdock is native to Europe but now is found throughout North America. The plant is often found in partially shaded wet areas, along roadsides and ditch banks. The plant spreads by seeds that are found within the burs that cling to hair, fur and clothing. The plant is an alternate host to powdery mildew and root-rot that can spread to commercial crops. The burs can cause eye disease, mouth sores and skin infections of animals. Common milkweed is a robust plant native to North America and is best known as a primary food source for the monarch butterfly. The plant is a perennial that grows 3 to 5 feet tall and reproduces by underground rootstocks and seeds. The stem is erect and fleshy with large opposite leaves 3 to 5 inches wide and 6 to 10 inches long. A thick, white, milky latex is found throughout the plant. 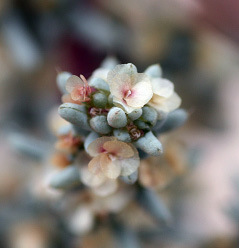 Flowers are arranged in tight clusters at the top of the plant and are pink to white. Common milkweed has shallow fibrous roots. 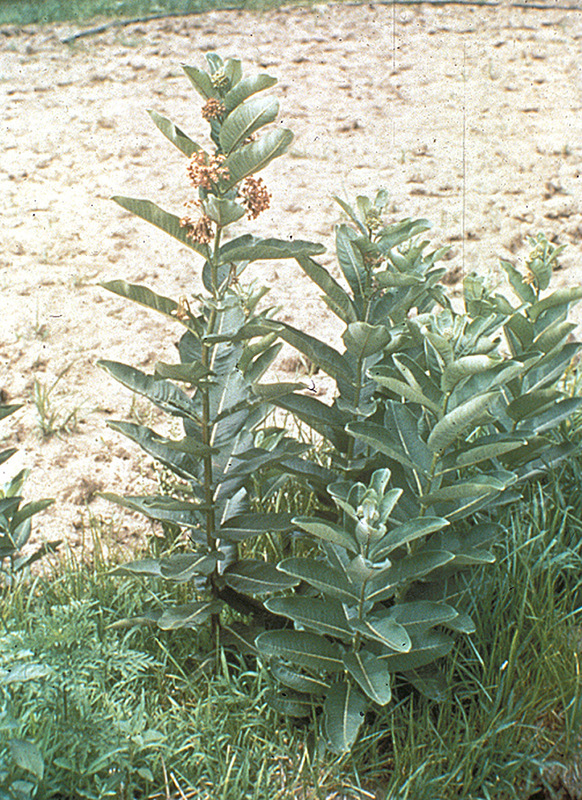 Milkweed grows in a wide range of soil moisture conditions, but can become dense under medium or high moisture levels. Seed pods are 3 to 5 inches long and contain dozens of flat reddish-brown seeds with tufts of hairs that allow the seed to travel in the wind. Milkweed has been used for medicinal, industrial, decorative purposes and even for food, despite having some degree of toxicity. Common milkweed is extremely difficult to control. Common mullein is a biennial that produces a large rosette the first year of growth, with a deep, fibrous taproot. The leaves are alternate and both leaves and stems are covered with a thick layer of fine hairs. The plant bolts 2 to 6 feet tall and produces numerous, bright yellow, five-lobed flowers from June through August of the second year. Small dark seeds are contained in two chambered capsules and can germinate for many years. Common mullein is a native of Asia but is now common throughout North America. This plant most often is found in gravelly, dry soils, waste areas and bottomlands. Livestock do not graze the plant because of the pubescence. Leaves were smoked by Europeans to relieve asthma and other pulmonary diseases. Hand pulling and digging are effective control measures. 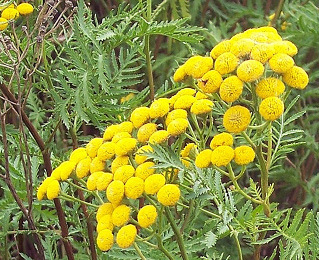 Common tansy is a perennial forb that is native to Europe and was introduced into the U.S. as an ornamental. The plant is identified easily by the fern-like leaves, yellow “button” flowers and a bitter odor emitted when the leaves are crushed. 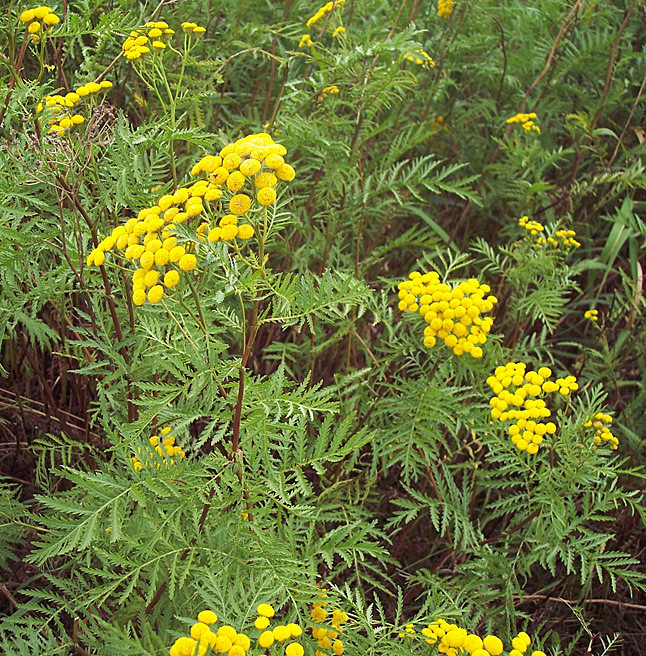 Common tansy grows from 1.5 to 6 feet tall and spreads by seed and root. The stems have purple splotches. Leaves are alternate, smooth to slightly pubescent and deeply divided into narrow, toothed segments that resemble a fern. Flowers are yellow, 0.25 to 0.5 inch across, flat topped and arranged in clusters. Common tansy is an aggressive invader of pastures, vacant and disturbed lands, roadsides and stream banks. The plant contains alkaloids that can be toxic to humans and animals. Illnesses in humans have occurred after hand-pulling. 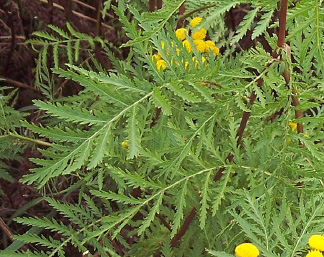 Milk of dairy cattle is tainted if common tansy is present in hay. Downy brome is an annual or winter annual grass that infests cropland, range and pasture, and disturbed areas. The plant grows up to 30 inches tall. Seedlings are bright green with very pubescent leaves. 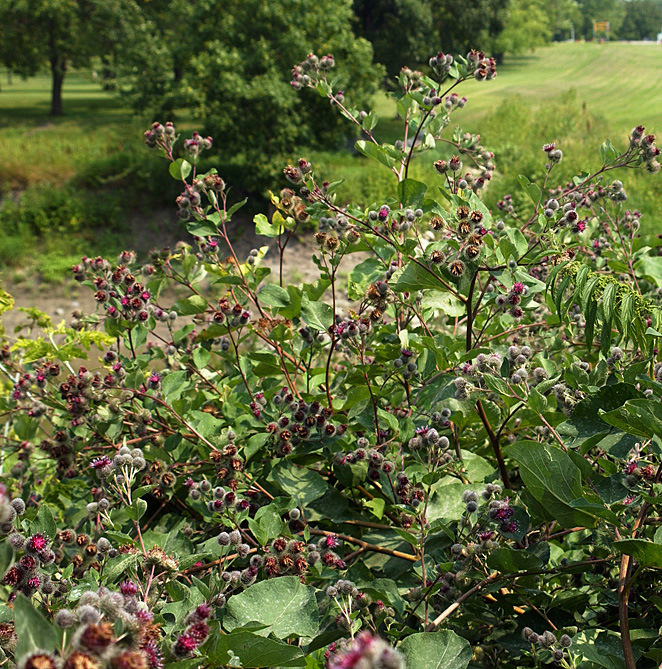 The foliage and seedheads change to purple and brown as the plant matures. 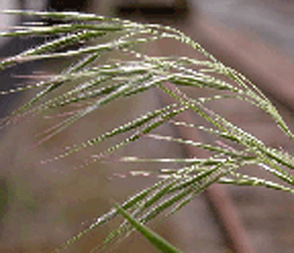 Downy brome grows rapidly in early spring and produces seed heads from late April to early May. 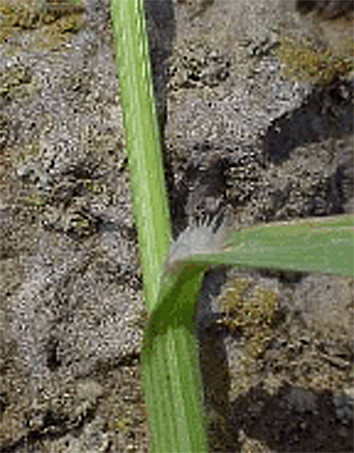 A single plant can produce as many as 20 tillers. Plants have 5 to 8 spikelets, which are 0.75 inch long and droop to one side. 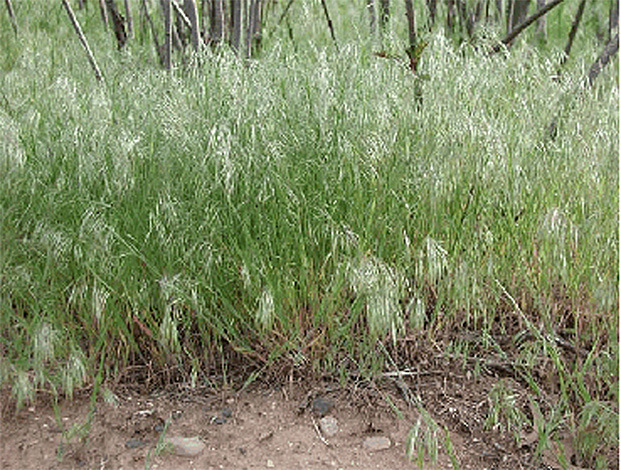 Downy brome can displace desirable forage quickly and reduce crop yields. The plant grows in high densities and can be a ready fuel source for fires because it dries down early in the growing season. Downy brome is palatable to livestock very early in the growing season, but the long awns of the seed cause sores in the mouth and eyes. The plant is especially weedy in winter wheat. Field bindweed is a long-lived, creeping perennial weed and is a member of the morning glory family. The twining stems can grow 6 feet or more in length and form a dense mat. Leaf size and shape are quite variable but often resemble an arrowhead. 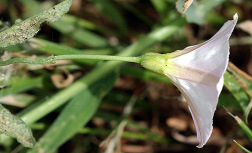 Flowers are funnel-shaped, about 1 inch in diameter, and white or pink. 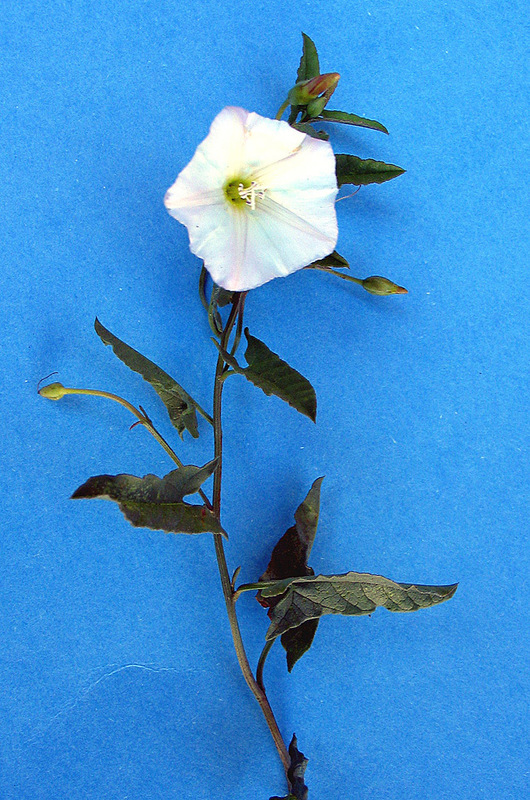 The flower stalk has two small bracts 0.5 to 2 inches below the flower which help distinguish this plant from hedge bindweed. Roots can extend 20 to 30 feet laterally and as deep as 30 feet. Seeds of field bindweed vary from dark brown to gray and are 1/8 inch long with an extremely hard seedcoat. 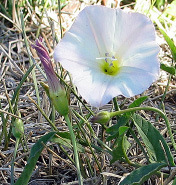 Field bindweed was introduced into the U.S. during colonial days and was referred to as devilgut. The weed has become widespread in the Great Plains and western states. Vines climb on plants and shade crops, cause lodging of small grains and clog harvest machinery. Halogeton is an annual weed in the goosefoot family and grows from a few inches to more than 2 feet tall. The plant grows low to the soil surface at first, then branches become erect. Plants turn from blue-green early in the season to yellow or red by late summer. The leaves are small, sausage shaped and have a short spine at the end. The flowers are found in the leaf axils, are greenish and not showy. The tap root can grow nearly 2 feet down and out from the crown allowing this plant to survive dry conditions. The brown-black seeds are contained in a bracted pouch that give the plant a wooly appearance. The plant first was reported in North Dakota in 2009. Halogeton is native to Russia and has spread to millions of acres in the West. The plant often is found in alkaline soils and semiarid regions, especially in disturbed areas. 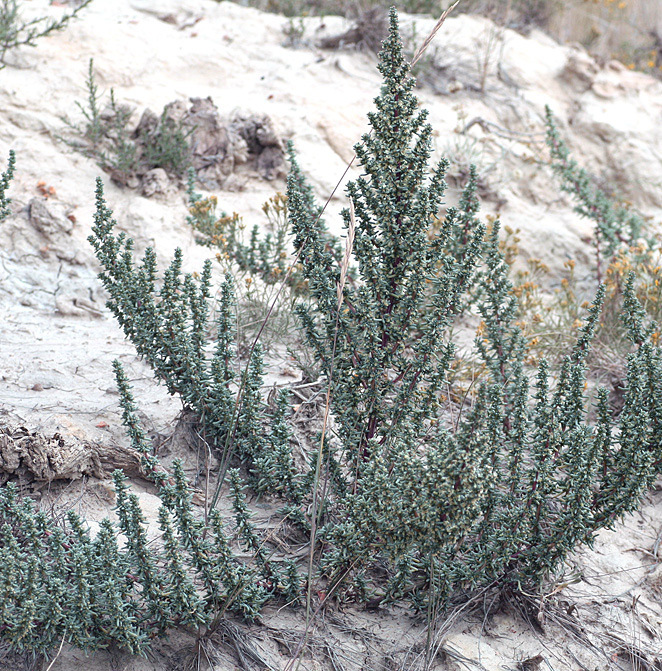 Halogeton contains soluble sodium oxalates that are poisonous to sheep and cattle when consumed in large quantities. Hoary cress (also called whitetop) is native to the Balkan Peninsula and southwest Asia. The plant is a deep-rooted perennial forb that grows up to 2 feet tall. 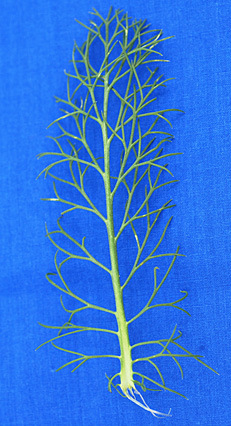 Stems are erect and branching with dense pubescence on the lower half. Leaves are about 0.5 to 4 inches long, and 0.1 to 1.4 inches wide, with upper leaves clasping the stem. Flowers are white, four-petaled and borne on slender stalks. Plants flower from May to June and produce up to 4800 seeds in July. Seed capsules are shaped like an inverted heart and usually contain two seeds. Seedlings of hoary cress germinate in the fall and over-winter as rosettes. The plant also spreads by roots. 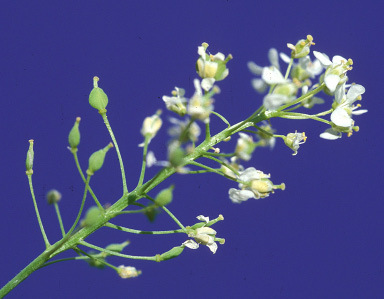 Hoary cress is very aggressive and can form dense monocultures on disturbed land. 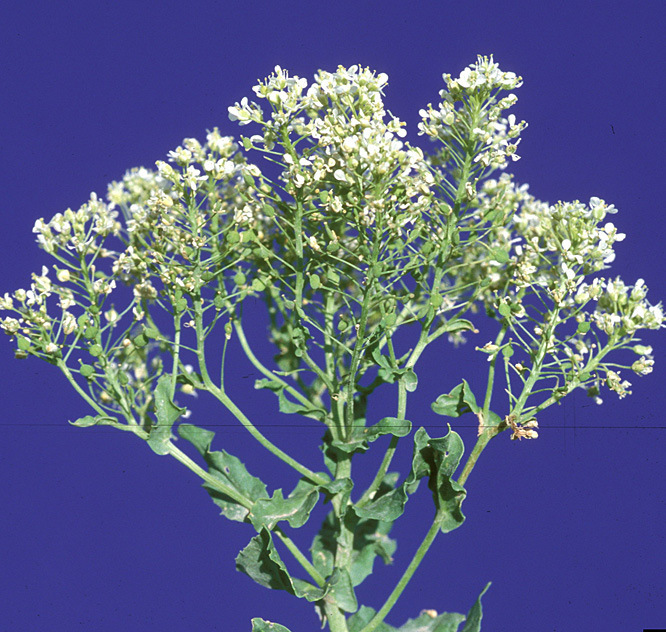 This plant contains glucosinolates that can be toxic to cattle, but animals only graze hoary cress in the spring if more palatable forage is not available. Houndstongue is a biennial that forms a rosette the first year and bolts and flowers the second. The leaves are oblong, very pubescent and rough. Plants grow to a height of 1 to 4 feet and flower in midsummer. Flowers are red to burgundy, small and arranged in clusters. Each flower produces three or four nutlets, which have a very hard coat and are covered with barbs. The barbs cling to clothing, machinery and animals which allows the plant to spread long distances. Plants generally are found in wooded areas or in pastures near trees and shrubs. Nutlets on sheep can reduce the value of wool and can irritate animals if they become imbedded near the eye. Houndstongue contains alkaloids that are especially toxic to cattle and horses. Animals rarely graze green plants but will eat dried plants in hay. Diffuse knapweed is a short-lived perennial or sometimes biennial plant that reproduces only by seed. The plant grows 1 to 2 feet tall, is multi-branched and has pale green leaves 3 to 4 inches long. The flowers are white to rose or sometimes purple. Diffuse knapweed is distinguished from spotted knapweed by the bracts which have a rigid terminal spine with four to five pairs of shorter lateral spines (crab like). The plant flowers from early July through August and produces 1,000 or more seeds. Diffuse knapweed is native to the Mediterranean region and often is found along roadsides, railroad rights-of-way and any area where hay is transported. The plant establishes well in wet falls and spreads rapidly to reduce forage production and wildlife habitat. 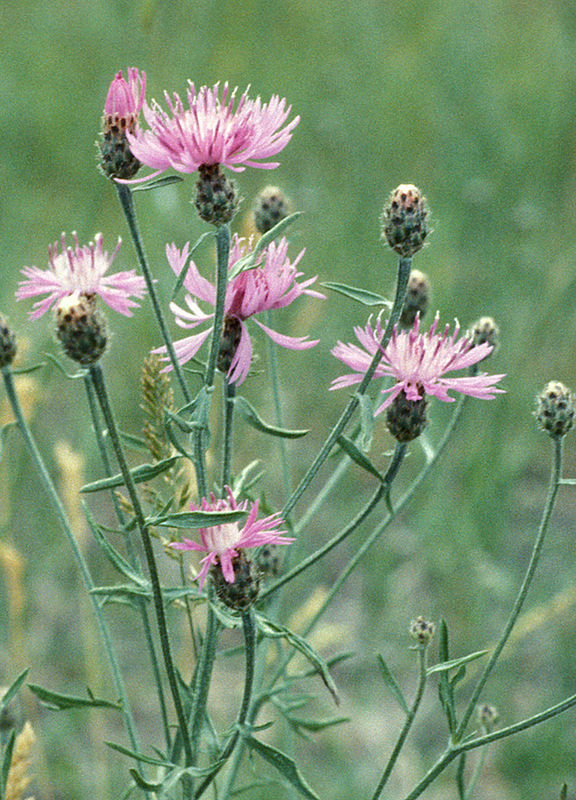 Diffuse knapweed has been found only occasionally in North Dakota in small patches, which were eradicated. Use gloves if you hand-pull this weed because the plant can cause skin irritations. Spotted knapweed is a perennial weed that spreads by seed alone. The plant grows 2 to 4 feet tall and is similar in appearance to diffuse knapweed, except generally more upright and less bushy. Spotted knapweed has deeply lobed light green leaves that are rough to the touch. 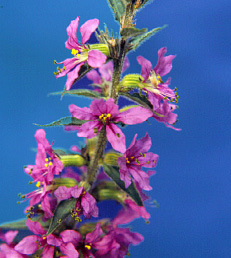 The plant has pink to purple but rarely white flowers that occur from mid-July through August. Spotted knapweed produces thousands of seeds per plant. The seed remain viable in the soil for five years or more. Thus, infestations may recur a number of years after all vegetative growth has been eliminated. Spotted knapweed is distinguished from other knapweed species by the black-tipped stiff bracts beneath the flower. 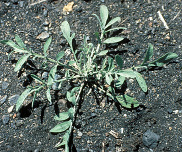 Knapweeds are one of the most rapidly spreading invasive weeds in the region. Nearly 50 percent of the counties in North Dakota have infestations of spotted knapweed and total acreage has doubled in the last five years. 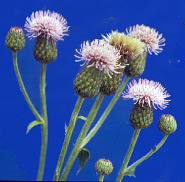 Russian knapweed is a long-lived, deep-rooted perennial weed with a growth cycle similar to Canada thistle. The plant emerges in midspring and grows 2 to 3 feet tall with a shrublike appearance. The leaves are narrow, alternate and lobed lower on the plant, while upper leaves are entire. Flowers appear from June through September and vary from light pink to lavender. Flower bracts are rounded with transparent tips. 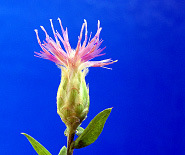 Once established, the plant spreads mainly by roots because seed production is much less than other knapweed plants. Russian knapweed can spread rapidly, is very competitive, and can reduce forage production to near zero as infestations often become monocultures. 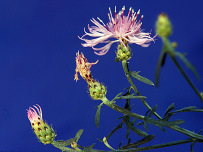 Russian knapweed occurs on poorly drained soils and near streams and rivers. 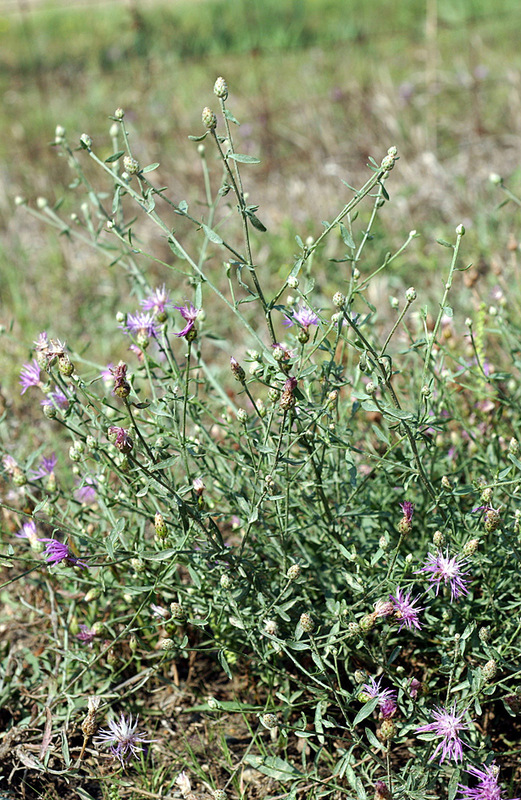 Russian knapweed is found statewide and has been increasing in acreage. This is the only knapweed in the state that can cause significant losses in cropland. Kochia is a widespread weed found in cropland, roadsides, waste areas and overgrazed pasture. Kochia is a taprooted annual forb that can grow from 1 to 6 feet tall. Seedlings are very pubescent. Stems are erect and spreading, much branched and yellowish-green to green, which turn red with maturity. 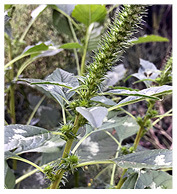 The leaves are alternate, lance-shaped and 0.5 to 2 inches long, with fringed hairs on the margins. Kochia flowers are inconspicuous, greenish, and form short, dense, terminal, bracted spikes. Flowering is from July to September. The plant spreads only by seed with more than 14,000 produced per plant. 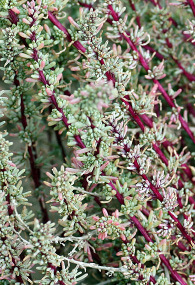 Kochia has been grown as a drought-resistant forage, but is a serious cropland weed. 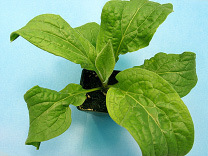 This plant has become resistant to several herbicides used in crops and control is becoming more difficult each year. Kochia can contain high nitrate levels and is toxic if overgrazed. Livestock become bloated and also are photosensitized if too much is consumed. 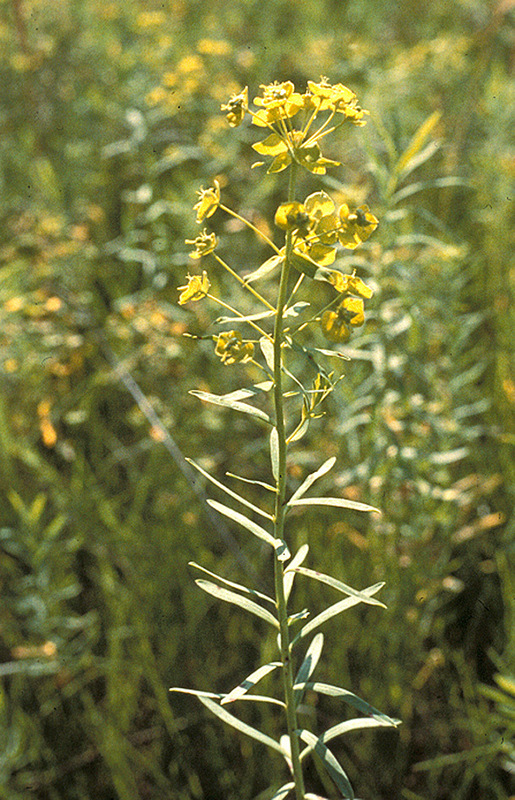 Leafy spurge is a long-lived perennial that spreads by root and seed. The plant grows 2 to 3 feet tall, with alternate, bluish-green narrow leaves about 2 inches long. 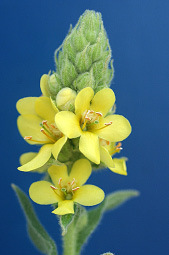 Showy yellow bracts appear in May and June, but the true flowers are small and green. Seed pods contain three gray-brown, oblong seeds that mature in mid-July. The plant contains latex, so most animals avoid grazing until late fall. Leafy spurge is found in all 53 North Dakota counties and forms dense stands that crowd out other plants and reduces grazing capacity. Patches spread 1 to 3 feet per year underground and roots will grow 15 feet or more in depth. The root contains a large nutrient reserve which sustains the plant for several years and numerous buds which allow the plant to spread as cut pieces in gravel and on tillage equipment. Sheep and goats will graze leafy spurge but will not reduce infestation. Narrowleaf hawksbeard is a winter or spring annual that grows 2 to 3 feet tall from a tap-rooted basal rosette. Mature narrowleaf hawksbeard has bright yellow dandelionlike flowers that are found from late May through September in North Dakota. 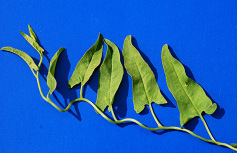 Basal leaves die off as the plant matures, which can help distinguish this plant from common dandelion or annual sowthistle. Stem leaves are alternate and go from 4 inches long to less than an inch at the tip of the plant. 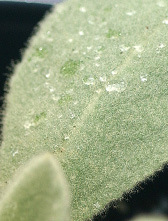 A white milky sap is found throughout the plant. Up to 90 percent of the seedlings that emerge from August to mid-September will overwinter. 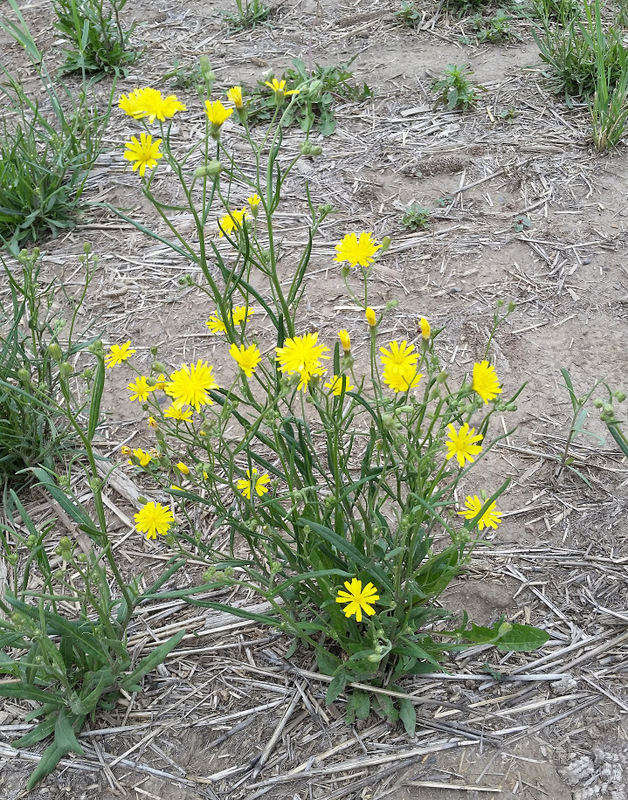 Narrowleaf hawksbeard traditionally was found along roadsides and disturbed land in North Dakota but has become especially troublesome in no-till cropland, cropland seeded with cereals, pulse or oilseed crops, hay fields, and along newly established pipelines. Narrowleaf hawksbeard develops rapidly in the spring, which gives the species a competitive advantage. 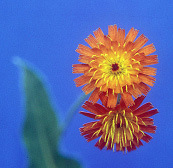 Orange hawkweed is a herbaceous perennial with spatula-shaped leaves that contain a milky sap. 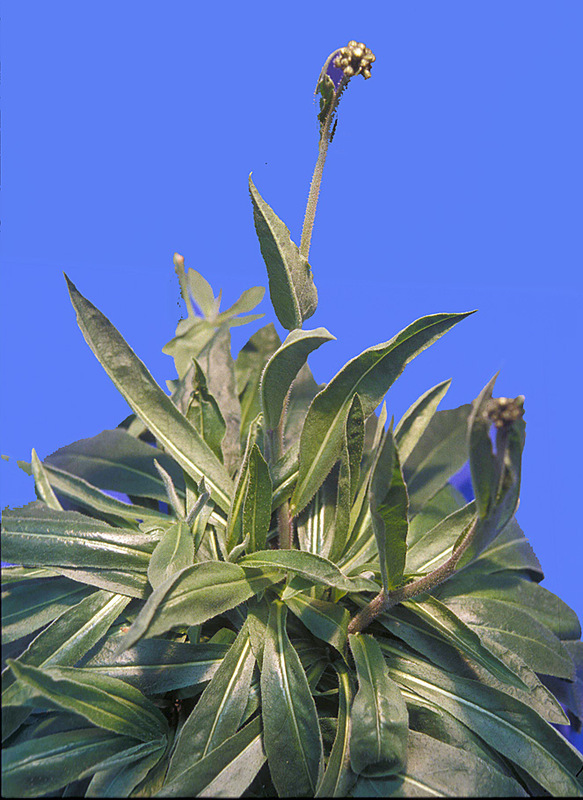 In the vegetative state, the plants appear as basal rosettes with 4- to 6-inch long leaves, which are dark green above and light green below and quite pubescent. Each rosette is capale of producing 10 to 30 flowering stems that grow up to 12 inches tall. 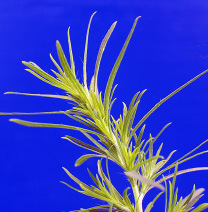 Stems have short, stiff hairs and one to three small, clasping leaves. The flowers are 0.5 to 0.75 inch in diameter and arranged in a flat-topped cluster. Seeds are very small, black and have a tawny tuft of bristles on the flattened end. The plant spreads primarily by runners (like strawberries) and rhizomes, and to new sites by seed. Orange hawkweed is very aggressive and develops large, dense patches. Livestock and wildlife will graze orange hawkweed but continuous grazing actually leads to increased hawkweed density. Orange hawkweed is a severe problem in northern Minnesota and the Pacific Northwest. 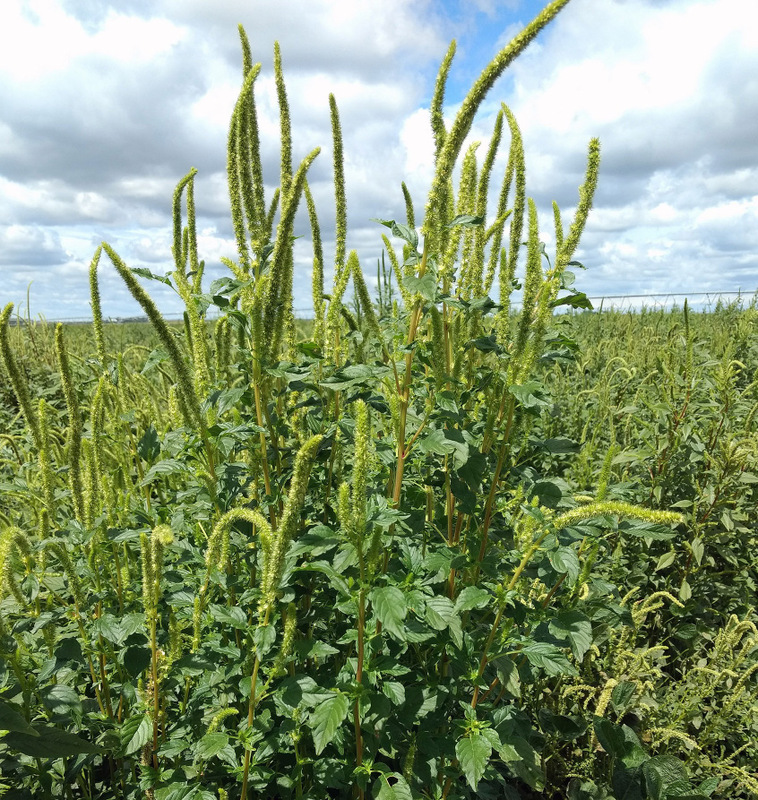 Palmer amaranth is a summer annual that emerges from seed throughout the growing season in North Dakota. The plant commonly grows 6 to 8 feet tall. Palmer amaranth leaves are smooth, 2 to 8 inches long, arranged in an alternate pattern and lance or egg-shaped. A whitish V-shaped or thumbprint mark is found on leaves of some but not all plants. The flowers are green, not showy, and end in three spiny bracts. 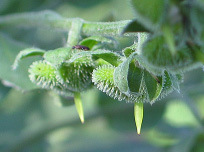 The seed head spikes can be up to 3 feet long, and the female flowers are very prickly. Palmer amaranth has reduced yield up to 91 percent in corn and 79 percent in soybean. The weed has a wide genetic diversity, which allows the plant to adapt to new environments and has enabled the plant to develop resistance to many herbicides used to control pigweed species. Early identification and eradication are the best method to prevent Palmer amaranth from becoming established in North Dakota. 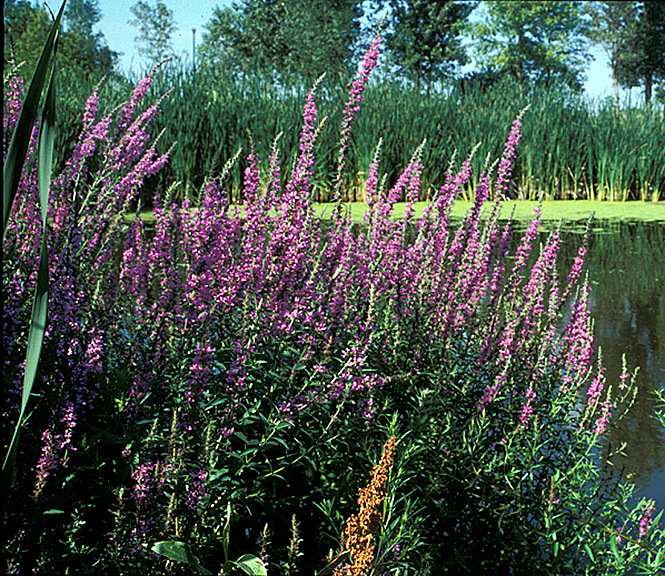 The most identifiable characteristic of purple loosestrife is the striking rose to purple flowers, which appear from July through mid-September. The flowers are arranged on a spike that can grow several feet tall. Each flower has five to seven petals, which form a two-celled seed capsule. 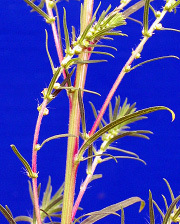 The stems of the plant are erect, 3 to 8 feet tall, and four- to six-angeled. The leaves are simple and entire, and can be opposite or whorled. 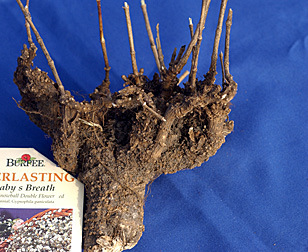 The roots become thick and woody in mature plants but the root crown diameter is limited to about 20 inches. Aerial shoots die back in the fall. 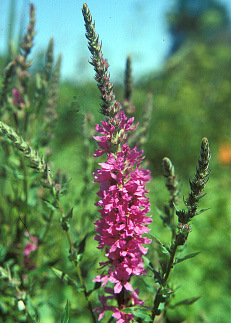 Purple loosestrife spreads primarily by seed, but also can spread from stem cuttings. Each plant produces more than 2 million tiny black seeds that are easily dispersed. The most destructive impact is on the ecology of aquatic sites. The plant forms dense stands that displace native wetland plants and disrupt wildlife habitat. This plant was sold in North Dakota for many years in the nursery trade. Garden cultivars can cross-pollinate and become very aggressive. 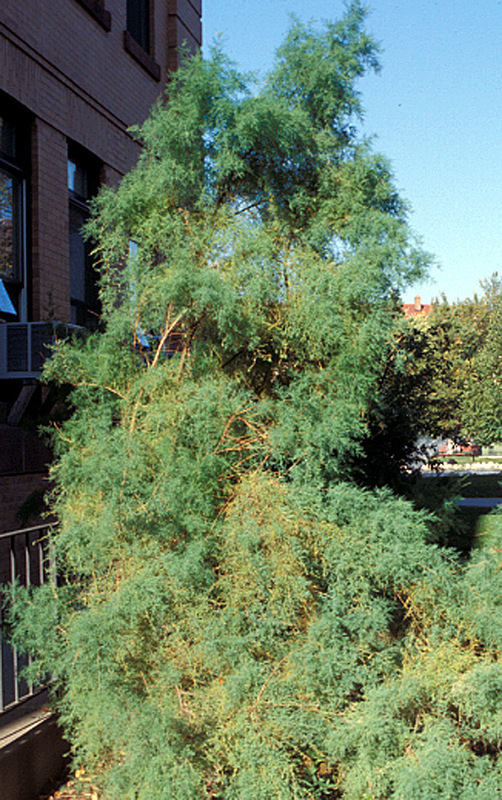 Saltcedar is the common name for several introduced shrubs or small trees, all of which can become weedy. The plant grows anywhere from 5 to 20 feet tall and has reddish-brown bark. The leaves are small, flat, segmented and resemble arbrvitae. The flowers are pink to white, five-petaled, and appear from mid- to late-summer. The seed is similar in size and color to pepper and has a pappus that allows it to float on water which greatly aids in long-distance dispersal. 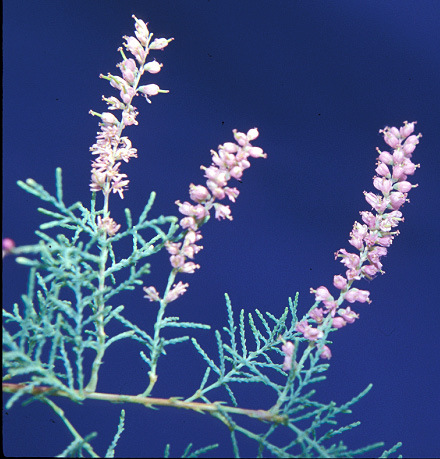 Saltcedar is native to Eurasia and was introduced into the U.S. to help reduce errosion on stream banks. The plant is very hardy and is advertised to grow “in sun or shade, and in wet or dry areas” from hardiness zones 2 to 7. Saltcedar can become a monoculture along lakes and waterways and quickly replace native riparian species. Saltcedar absorbs great amounts of water and even has dried up entire lakes. Besides from seed, saltcedar can spread vegetatively from roots, forming dense stands. 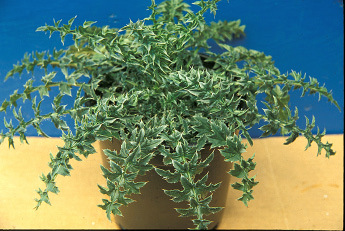 Annual and spiny sowthistle are annuals and differ primarily in leaf form. 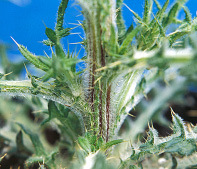 Spiny sowthistle, as the name implies, has sharp stiff prickles along the stem and leaves. Leaves clasp the stem with rounded basal lobes (auricles) that resemble a ram’s horn. 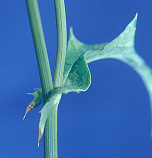 Annual sowthistle leaves are deeply toothed lower on the plant but progressively less so on the upper stem. 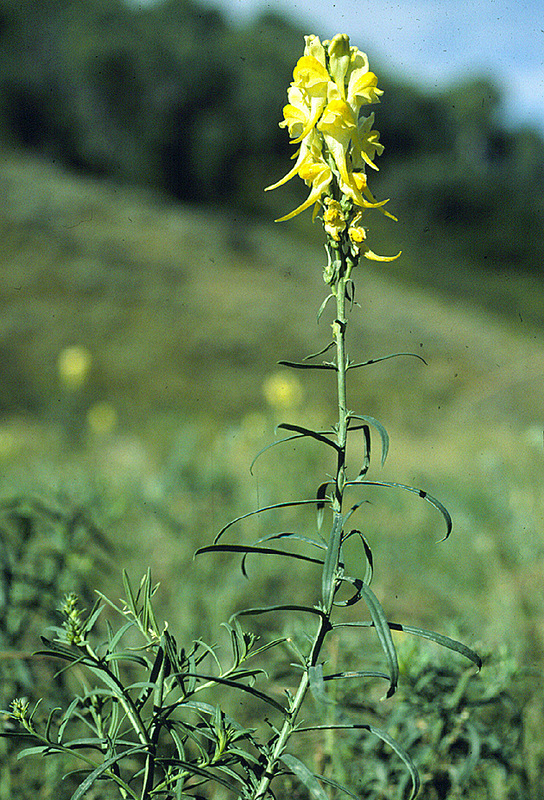 Both species have yellow flowers borne on a long, vase-like stalk, with several in a cluster. 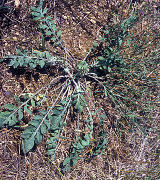 Annual and spiny sowthistle contain a milky latex and grow from a small taproot. 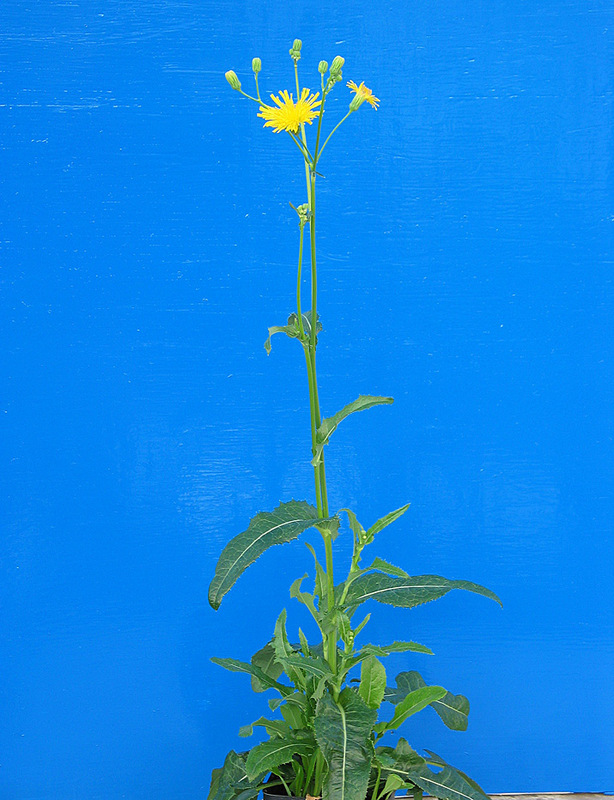 Spiny sowthistle has slightly larger flower heads (0.5 to 1 inch across), compared with annual sowthistle (0.25 to 0.75 inch). The seeds for both are flattened with three to five ribs. Both species grow 2 to 4 feet tall. These annual sowthistle species can become competitive in cropland but otherwise are a nuisance species rather than invasive. 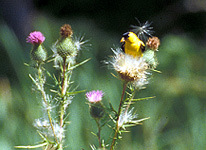 Only annual sowthistle is county-listed. Marsh sowthistle is a subspecies of perennial sowthistle and is the plant most commonly found in North Dakota. 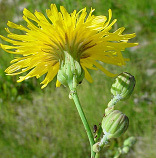 Both species have bright yellow flowers but perennial sowthistle flower bracts are covered with gland-tipped hairs, while marsh sowthistle has smooth flower bracts. Both are perennial and have an extensive creeping root system. Lower leaves are lobed, less so higher on the stem, have prickles on the margin, and are 4 to 10 inches long and clasp the stem. The plants contain latex and grow from 1.5 to 6 feet tall. Sowthistle generally flowers from July through September and produces an average of 30 seeds per plant. Seeds have a short viability, usually less than one year. 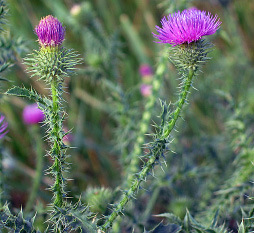 Sowthistle is found in cultivated fields, ditches, meadows and waste areas. 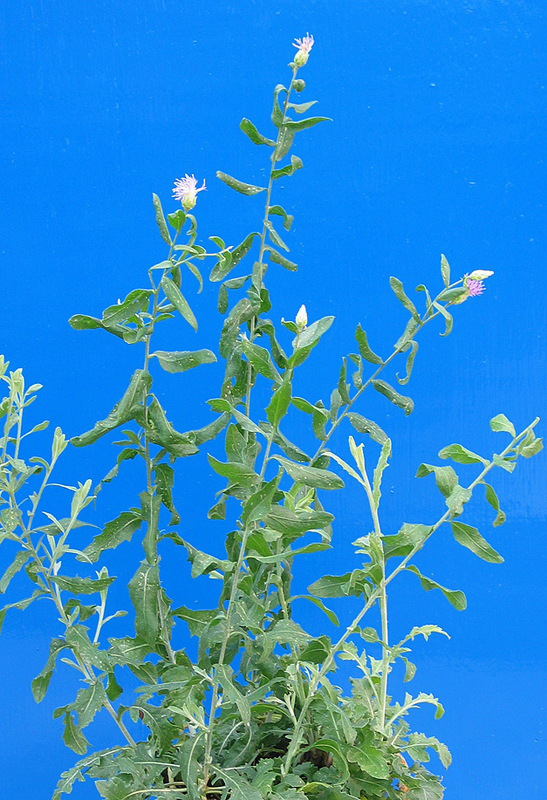 Sowthistle can cause reduced crop yields but is easily controlled by herbicides. 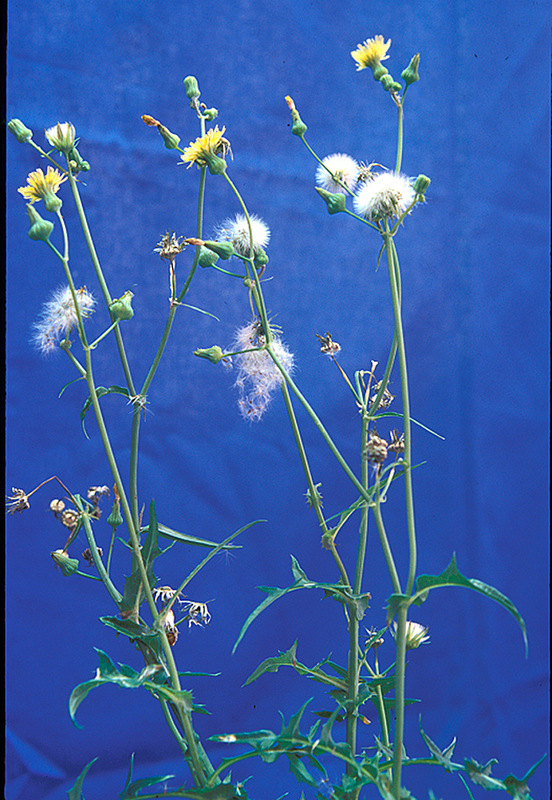 Most sowthistle infestations in North Dakota are annual, not perennial species. 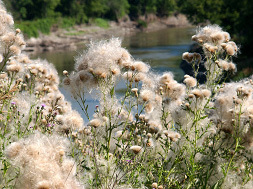 Bull thistle is a biennial and is the least serious of the introduced thistles in North Dakota. The plant forms a large (1 to 2 feet) rosette the first year and bolts to 5 or more feet the following season. Plants are multi-branched with purple veined stems and are winged. 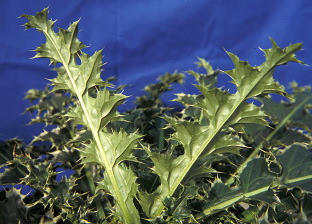 Bull thistle is most easily distinguished by the leaves which are deeply toothed and toothed again (double dentate) with prominate stiff spines. 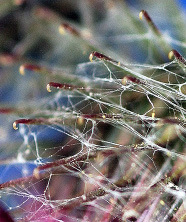 The leaves have a distinct center vein with prickly hairs above and cottony pubescence below. Bull thistle flowers are 2 to 3 inches tall, usually singular at the end of each stem and gum dropped shaped with long, stiff, yellow-tipped spines. The flowers are generally purple and rarely white. 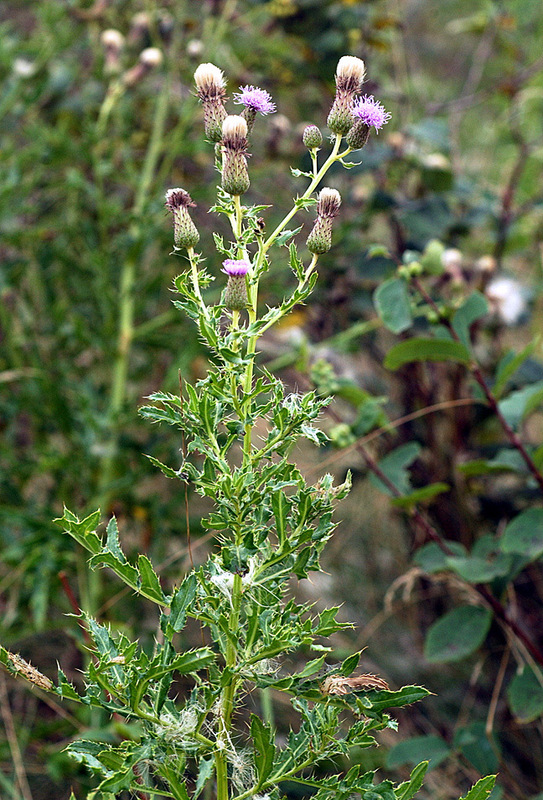 Bull thistle generally is found growing singularly or in small patches. The large size and showy flowers makes the plant quite noticable, but bull thistle has little economic or ecological importance. Many plant parts from the root to the flower can be eaten. Flower petals can be used as chewing gum. Canada thistle has become the most wide spread invasive weed in North Dakota and infests crop and wildlands. Canada thistle is a long-lived perennial with an extensive root system that can grow laterally 12 to 15 feet per year. Root buds occur randomly and initiate new shoots whenever conditions are favorable. The plant begins growth from the roots in late spring and usually bolts in June to a height of 3 or more feet. The leaves are oblong, usually deeply cut and have spiny-toothed edges. Canada thistle has small (0.75 inch diameter) flower heads that appear on the upper stems in midsummer. Flower color ranges from purple to rose and sometimes white. Male and female flowers are produced on different plants. Seeds mature rapidly and can germinate eight to 10 days after pollination. 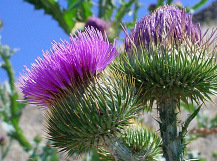 Canada thistle is adapted to a wide range of environmental conditions. 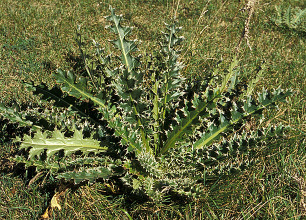 Canada thistle was listed in 1885 by Dakota Territory as “required of every person to destroy this weed.” Canada thistle biocontrol agents generally have not been effective when used alone. 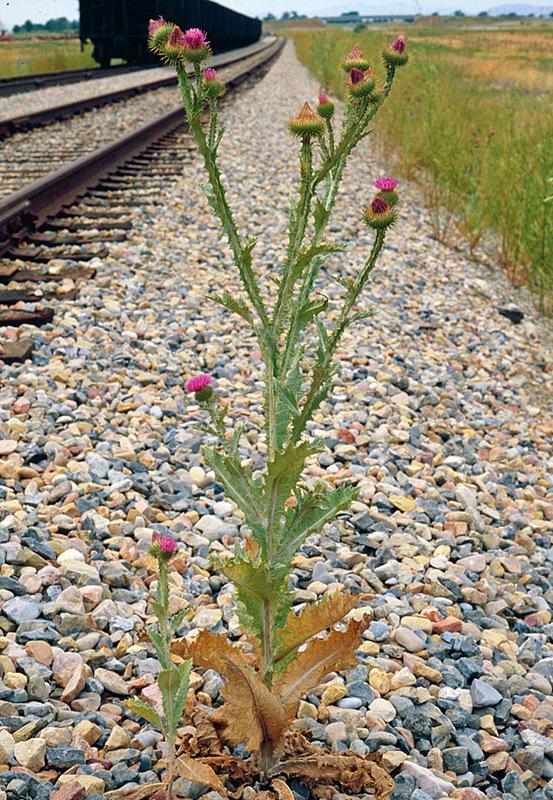 Musk thistle is the most common and easiest to identify biennial invasive thistle in North Dakota. Musk thistle often grows in excess of 6 feet tall, has very large flowers that tend to droop, and has very characteristic brown bracts that resemble a pine cone. The flowers are deep rose singular on each stem and 1.5 to 3 inches in diameter. The plant bolts from dark green large (more than 2 feet) rosettes in midsummer and flowers from July to late September. 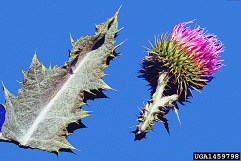 Musk thistle stems are usually multi-branched with spiny wings. The leaves are oblong to lanceolate and lobed with slender spines on the margins. 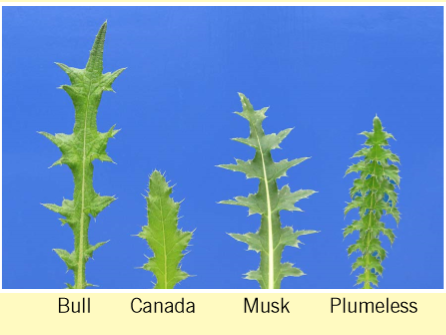 Musk thistle has little pubescence underneath the leaves which helps to differentiate this plant from plumeless thistle. 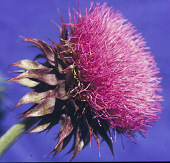 Musk thistle can produce in excess of 10,000 seeds per plant. 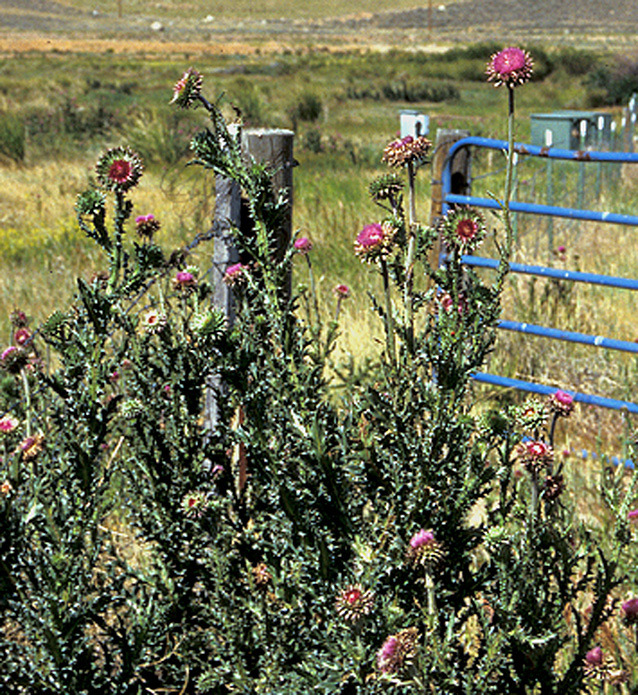 Musk thistle most often is found in overgrazed or otherwise disturbed pastures, roadsides and waste areas. 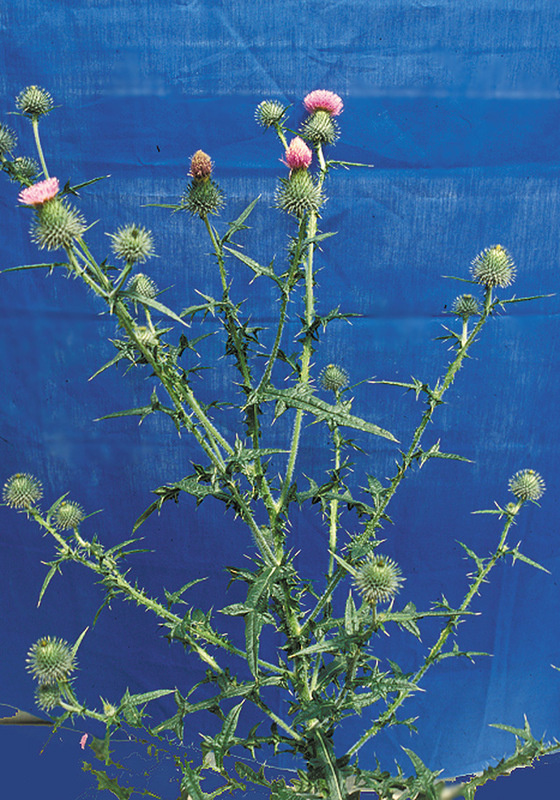 Musk thistle biocontrol agents generally have been ineffective. Plumeless thistle is a winter annual or biennial and generally is found only in the eastern part of North Dakota. Plumeless thistle is generally shorter than the other noxious biennial thistles in the state and grows 1 to 4 feet tall, but can form dense stands, especially on field and stream edges. The stems are winged, spiny and much branched. The leaves are deeply lobed, narrower than musk thistle and very pubescent underneath. Each lobe has one to three very sharp marginal spines. Flower heads are usually less than 1 inch in diameter, very numerous and pink to purple. Flowers can be singular or in clusters. 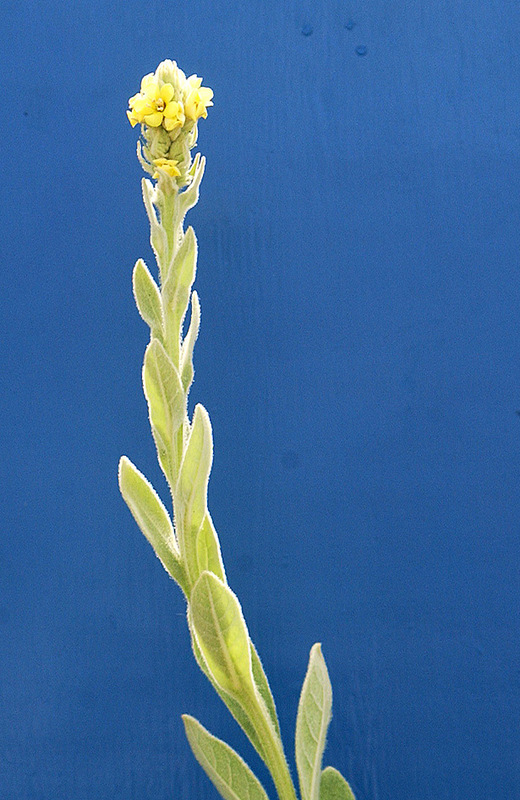 The bracts are very narrow and resemble spines. Rosettes of plumeless thistle are often 2 feet or more in diameter, like musk thistle, except they are more deeply lobed and much more pubescent. Plumeless thistle is one of the most common invasive thistles in the mid-Atlantic and upper Midwestern states and ranges as far west as Washington. Plumeless thistle is not on the state noxious weed list. 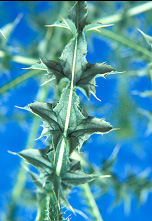 Scotch thistle is a biennial that can grow up to 12 feet tall. 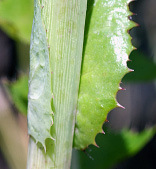 Plant stems are heavily pubescent and have broad spiny wings. Leaves are large, spiny and covered with fine dense hairs that give the plant a grayish-green, cottony appearance. Upper leaves are alternate and have prominent triangular lobes that end with a sharp, green to white spine. Flower heads are terminal, numerous and 1 to 2 inches in diameter. The flowers range from pale purple to red and have a series of overlapping very sharp spiny bracts. A single plant can produce from 8,000 to 40,000 seeds which generally germinate in late fall. During the reign of Malcolm I of Scotland, Norsemen attempted to capture the Staines Castle by wading across the moat in their barefeet, only to find the moat dry and overgrown with thistle. The painful cries by the warriors roused the castle guards and the Norsemen were defeated. To commemorate this victory, the flower became the emblem of Scotland. Dalmation toadflax is native to the Mediterranean region of Croatia and is in the same plant family as common garden snapdragons. 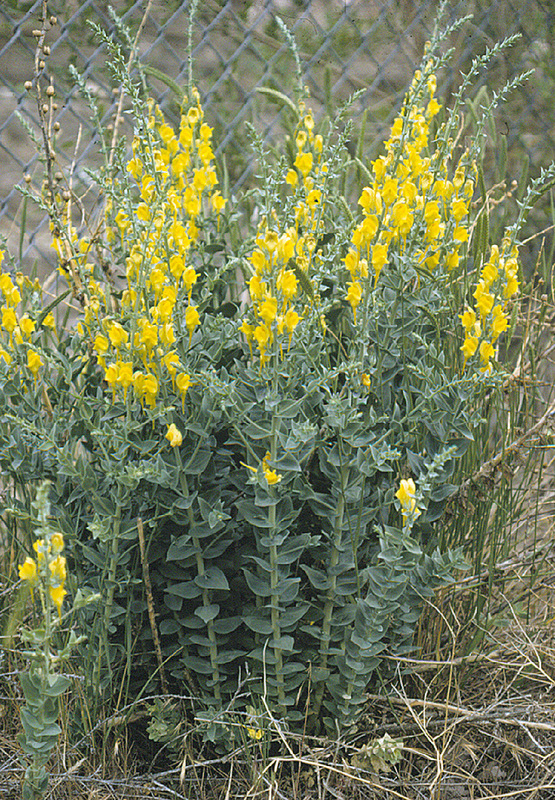 The bright yellow flowers have swollen corolla tubes that flare into “lips” and a long spur. The plant is a deep-rooted perennial that spreads by seed and up to 10 feet per year underground. The leaves are waxy, blue-green, heart shaped and clasp a woody stem. The plant flowers from midsummer to early fall. Each flower produces a two-celled seed capsule which which contain dark brown to black very tiny seeds. Single plants may produce more than 500,000 seeds. Dalmation toadflax is often found in drier sites than yellow toadflax and grows more than 3 feet tall. Dalmation toadflax is generally less aggressive than yellow toadflax and has been reported only as small patches in a few counties in western portions of North Dakota. The stem boring weevil Mecinus janthiniformis has controlled dalmatian much better than yellow toadflax. (2 to 2.5 inches) and attached to a slim stem which makes the plant resemble leafy spurge. The long leaves and orange throat of the flower differentiate this plant from dalmatian toadflax. The plant spreads by seed and a creeping root system that can spread up to 10 feet per year. Yellow toadflax flowers from mid-July through September. Each plant can produce more than 500,000 seeds which are widely dispersed by wind or on vehicles and wildlife. Yellow toadflax tends to be found in more moist areas than dalmatian toadflax and has become a weed in lawns as well as roadsides, pastures and disturbed areas. 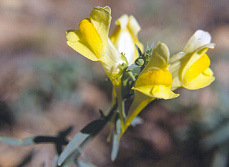 Yellow toadflax can be mildly poisonous to livestock that graze it. 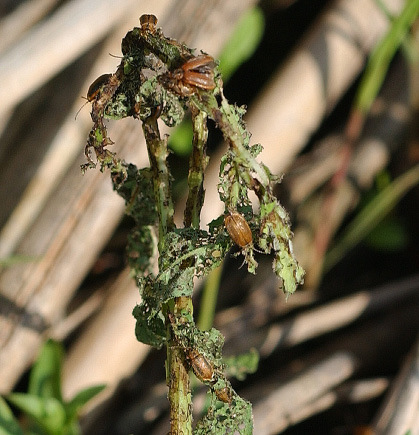 Mecinus janthinus is under evaluation for yellow toadflax control. Yellow starthistle is an extremely invasive and fast-spreading annual weed of the knapweed family. 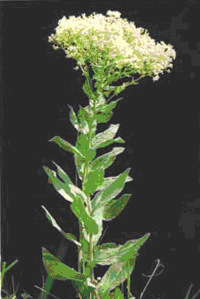 The plant grows 3 or more feet tall and is multibranched with winged stems. Each stem terminates with a bright yellow flower that has needle like straw-colored bracts up to 2 inches long. 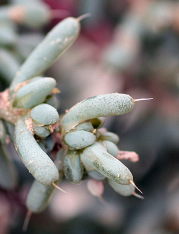 Leaves and stems are gray-green to green and covered with pubescent hairs. The lower leaves are deeply lobed while upper leaves are smaller and entire. 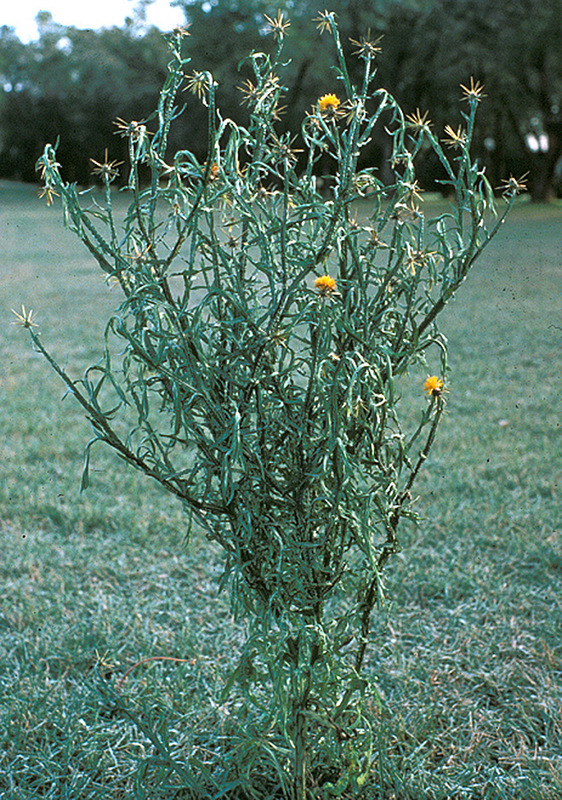 Yellow starthistle has a deep taproot but only spreads by seed. A single plant can produce 150,000 seeds most of which are plumed and dispersed in the wind. Remaining seeds stay in the flower head and are disperesed in blowing snow. Yellow starthistle seeds germinate in the fall or early spring. 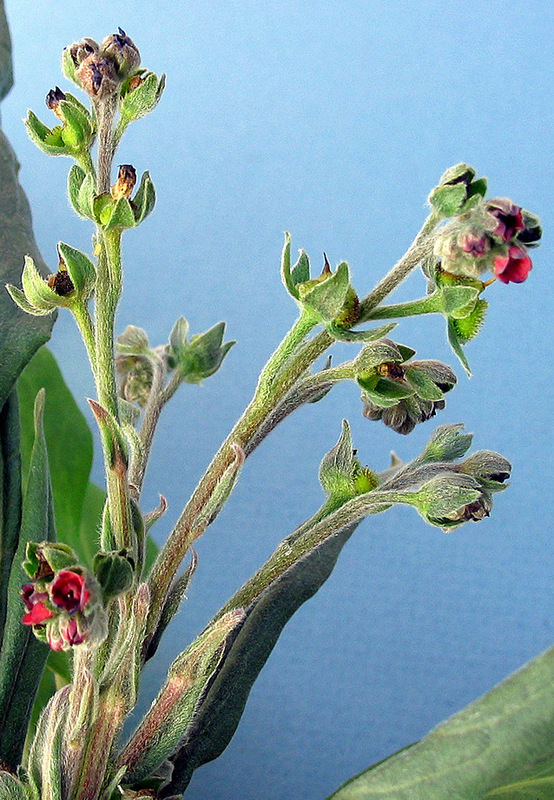 The plants bolt in late May to early June and flowering begins in mid-July. Yellow starthistle is adapted to a wide variety of environments. The plant first was found in North Dakota in 1964. That infestation and all subsquent ones were eradictated. All photos in the publication are by Rodney G. Lym, North Dakota State University, except as noted below. Black henbane plant and rosette courtesy of Steve Dewey, formerly of Utah State University. 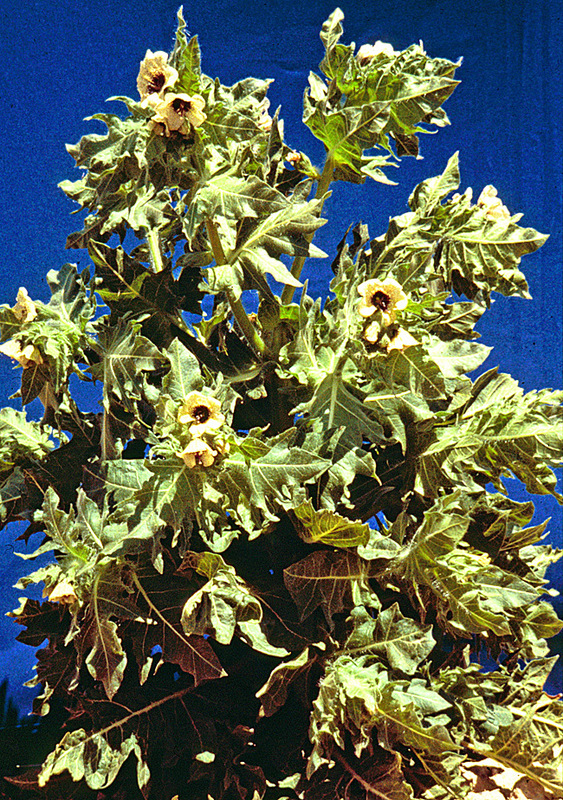 Flower photograph courtesy of Washington State Noxious Weed Control Board. False chamomile full plant from Richard Old, XID Services Inc.
Common tansy photos courtesy of Celestine Duncan, Weed Management Services, Helena, Mont. Downy brome infestation photo courtesy of Leslie J. Mehrhoff, IPANE. Planicle photo courtesy of J.C. Shour, Biopix.dk. Ligule photo from Virginia Tech Weed Guide. 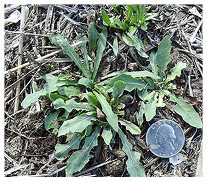 Halogeton photos courtesy of Blake Schaan, North Dakota Department of Agriculture, Bismarck, N.D.
Hoary cress flower and seed pod photos courtesy of Steve Dewey, formerly of Utah State University. Bolted plant photo from Richard Old, XID Services Inc.
Diffuse knapweed, spotted knapweed and Russian knapweed flower bract photos courtesy of Steve Dewey, formerly of Utah State University. 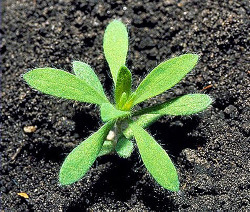 Kochia seedling courtesy of Richard Zollinger, NDSU. Aphthona flea beetle photo from Biological Control of Leafy Spurge CD, USDA-APHIS and USDA-ARS, Team Leafy Spurge’s IPM information series No. 1. Narrowleaf hawksbeard flowering and rosette plants courtesy of Clair Keene, NDSU. Close-up of flower and stem courtesy of Lindsay Green, Minot State University. Seed courtesy of Brian Jenks, NDSU. Palmer amaranth young plant and flower stalk courtesy of Alicia Harstad, NDSU. Flower spike courtesy of Katelyn Hain, NDSU. Biotypes courtesy of Richard Zollinger, formerly of NDSU. Scotch thistle photos of flower and leaf and whole plant courtesy of Steve Dewey, formerly of Utah State University. Flower close-up from Richard Old, XID Services Inc.
Dalmatian and yellow toadflax photos courtesy of Steve Dewey, formerly of Utah State University. Yellow starthistle hairy weevil from Mark Schwarzländer, University of Idaho. 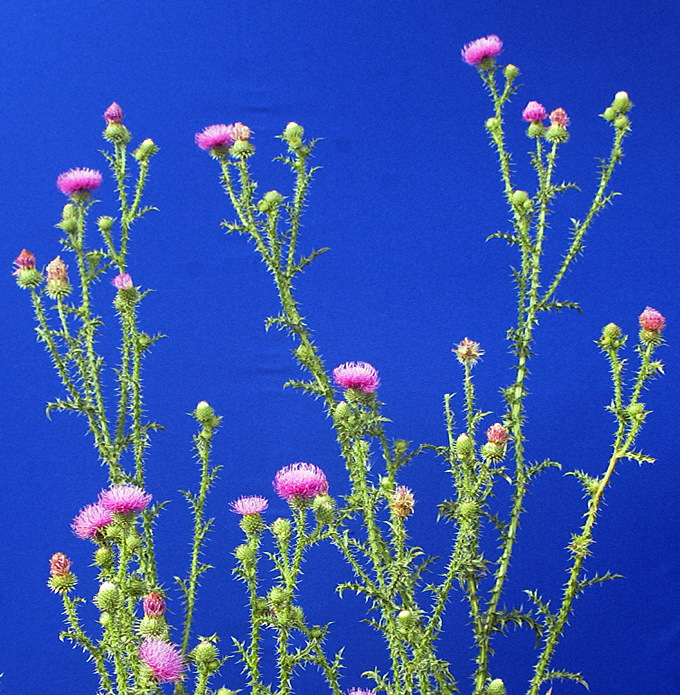 Composite photos of thistle plant flowers and leaves courtesy of Jason Adams, NDSU. The printing and design costs of this publication were paid for in part by the North Dakota Department of Agriculture and U.S. Forest Service.